Japan’s pride Sony Ericsson, is going to kick off the sailing of its Xperia T3 in India from the 28 of July 2014.The phone is manufactured in such a way that it is claimed as one of the slimmest smartphones with 5.3 inch HD Triluminos display. The device priced at Rs. 27990 is running on Android 4.4 KitKat OS out-of-the-box along with a quad-core 1.4GHz Qualcomm Snapdragon processor and 1GB RAM. Its 5.3- inch display comes with the resolution of 720x1280- pixel and its pixel density being 277ppi. According to Calum MacDougall, the director of the Sony Xperia marketing wing,” Xperia T3 has been crafted with attention to detail for those who know how to appreciate distinctive design in their everyday life. The T3 is packed with the latest beautiful technology from Sony – including leading digital imaging expertise and a vivid HD display – all within a stylish, stainless steel frame.” It comes with a dimension of 150.7 x 77 x 7 mm and a weight of 148 grams. The device is powered by a 2500mAh battery, that gives you 13 hours of talk time and 688 hours of standby time. Whereas the Sony Xperia Z2 (review) comes with of 3200mAh battery. The internal storage capacity of the handset is 8GB and it can be boosted up to 32GB via a Micro SD card. The Xperia T3 carries a flashlight supporting 8GB rear camera. Besides having an auto focus option, it houses a Sony Exmor RS sensor, scene detection, HDR, face recognition, red-eye reduction and sweep Panorama. 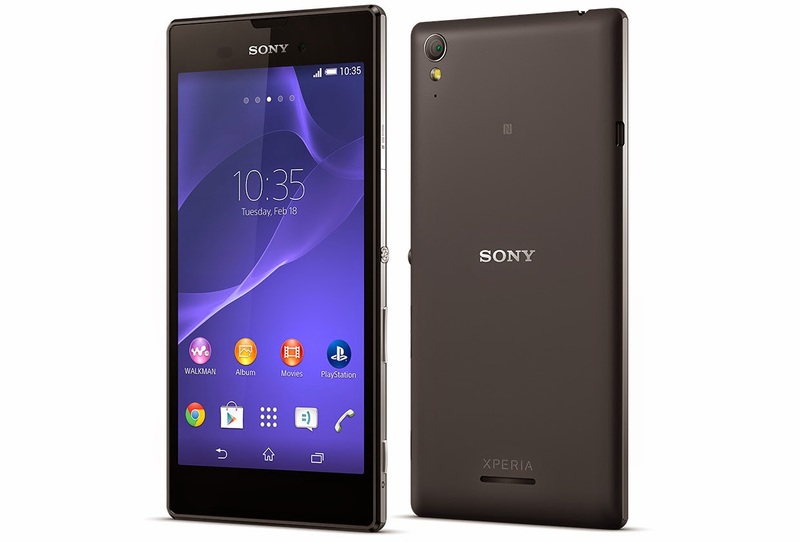 It also presents a 1.1MP front facing camera The Xperia T3 is accessible in black, white and purple colours. The available connectivity options are Wi-Fi, Bluetooth, GPS/ A-GPS, GPRS/ EDGE, DLNA, NFC, Micro-USB and 3G. Sony Xperia L 'TaoShan', the new smart phone included in the popular Xperia series of Sony which comes with awesome smart phone features like dual core processor, 8MP Exmor RS camera and latest Android platform. TaoShan, the code name of Xperia L or C210X has a brilliant 4.3 inches TFT LCD Capacitive touch screen with 480 × 854 pixels resolution. The smart phone is powered by a dual core 1GHz Snapdragon processor with inbuilt graphic acceleration. It runs Android 4.1.2 Jelly Bean operating system with advanced Google smart connectivity. The Sony Xperia L 'TaoShan' enables attractive memory options such as 2GB RAM and 8GB internal storage memory. There is also a micro SD card slot on the device for expanding its memory up to 64GB. The handset sports 8 mega pixels Exmor RS rear shooter and 1.3 megapixels front shooter. Auto focus, digital zoom and LED flash light features are also provided. Sony Xperia L carries a standard 1700 mAh Li-Ion battery which provides sufficient talk time and standby time. According to the words of official spokesmen, there is no more information about the handset. The model name and number will be revealing clearly soon; however, the official Sony’s blog indicates that it is C210X. Other names are C2104, C2105, and S36h. The handset will be available in different names in different regions. Sony expands their prestigious Xperia smart phone category for cell phone enthusiasts who always search for an awesome experience in the field of smart phone category. Now the Company announced two smart phones named Xperia SP (aka Sony C530X 'Huashan') and Xperia V. These two handsets are run Android 4.1.2 Jelly Bean platform with advanced features provided by Google. Earlier, the Company announced Xperia SP name as C530X (code name: Huashan); now the name changed as Xperia SP. 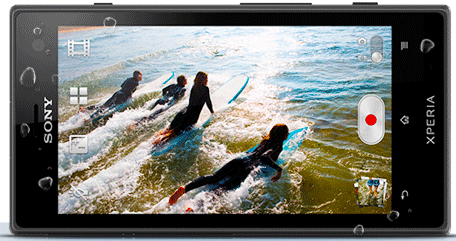 According to the various sources, the Sony Xperia SP launches with 4.5 inches TFT LCD display with 1280x720 pixels resolution. The smart phone enables the latest Adreno 320 GPU with HD (720p) display features. Sony Xperia SP is powered by 1.7 GHz (dual-core) Qualcomm SnapDragon processor. The handset also supports 4G LTE connectivity features. Sony Xperia SP has a standard Li-Ion battery which is an inbuilt (not be removable) power unit. There is also an expandable memory slot for expanding the storage capacity. 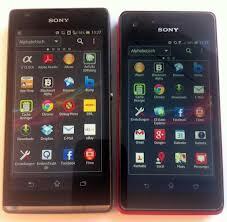 Sony Company has been expanding their Xperia series and added with tremendous feature smart phones. Earlier, the Company announced a new release named Sony C660X Yuga smart phone. But now the model has changed its name and launched as Sony Xperia Z. The Xperia Z comes with the same configuration of the C660X Yuga. Change has made only the model name of the handset. The smart phone launches with 5 inches TFT LCD full HD (1080p) capacitive touch display with 1920 x 1080 pixels resolution. The HD display provides 440ppi (Pixels Per Inch) density which is comparatively higher profile and quality. The smart phone also enables Sony's Mobile Bravia Engine which delivers a ‘Sony special’ visual and sound experience. Sony Xperia Z runs Google’s latest Android 4.1.1 Jelly Bean platform and powered by Qualcomm Snapdragon S4 Pro quad-core processor with in built graphic acceleration. The smart phone sports 2GB of Random Access Memory (RAM) and 16GB of internal memory storage. There is a memory card slot on the handset suitable for micro SD cards for expanding its memory up to 128GB. Sony Xperia Z has 12 mega pixels rear camera with auto focus and LED flash.There is also a front camera for video calling. 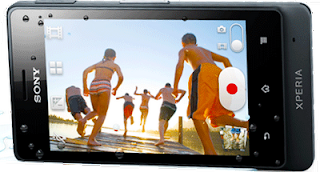 HD video recording capabilities also provided on the phone. 3G, Wi-Fi, xmicro-USB as well as USB host mode, 802.11 a/b/g/n in both 2.4GHz and 5GHz modes, Bluetooth 4.0, LTE and NFC are the important features of the smart phone. The official launch of Sony Xperia Z will be announced by the Sony Company at CES 2013 and is expected to go on sale in China on January first half for around 4,298 CNY ($690 or €520). Sony Xperia tipo, the first dual SIM smart phone from Sony will be available 2nd week of this month. The booking starts now through filpkart.com. 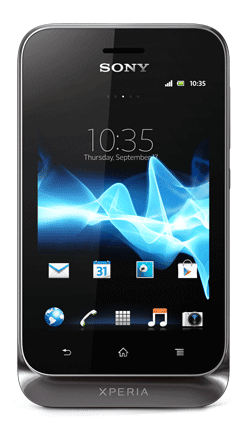 Sony Xperia tipo now priced Rs. 9499 which is the black color model. Sony and Airtel signed an exclusive Data offer for Sony Xperia ion customers who purchase the device. Every Xperia ion purchase, you can get an amazing data offer connect with Airtel mobiles. 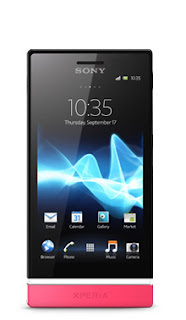 Sony Xperia ion costumers can get a three months offer with 500 MB of free 3G date per month. The data offer also includes 200 minutes of Mobile TV for a period of two months. Mr. Prasun Kumar, Marketing head of Sony Mobile Communications said that Xperia ion is the gateway to HD entertainment when and - most importantly - where you want it. Now the Xperia series sale in India becomes more vibrant and record breaking position. 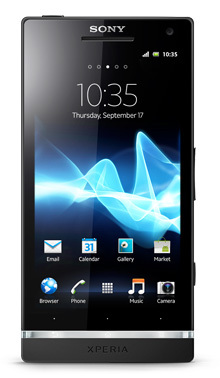 Sony Xperia ion is a premium HD Android 3G-Wi-Fi connectivity smart phone. Razor sharp clarity of the HD Reality Display with Mobile BRAVIA® Engine is the main attraction. Sony, the name of vibrant quality and tremendous clarity expands its ‘Xperia’ Smart Phone series. 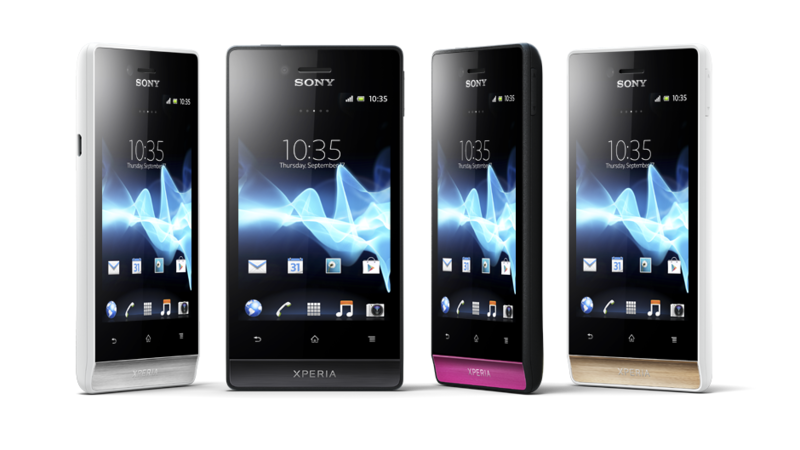 Now the Company officially launched Xperia ion, an awesome smart phone competes with Samsung Galaxy S3 and Apple iPhone 4S. 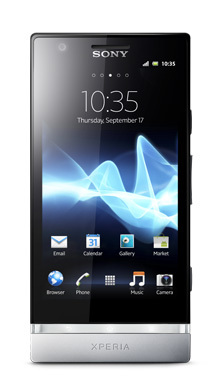 Now Sony Xperia ion available at major mobile retail shops allover India. Sony Xperia ion already released its US edition which is last month. 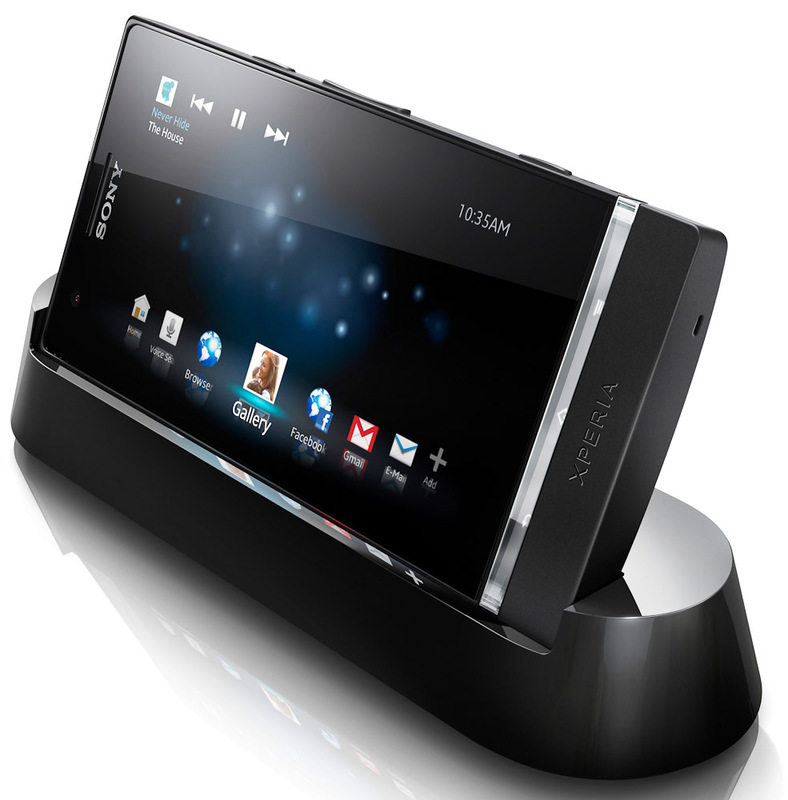 Sony Xperia ion will equally consider along with new generation Smart Phones like Samsung Galaxy S3 and Apple iPhone 4S. If you are trying to a close look into these mobiles, you can easily identify that Sony Xperia ion gifted some additional features. Sony’s 12.1 mega pixels Camera is one of the special attraction of the device. 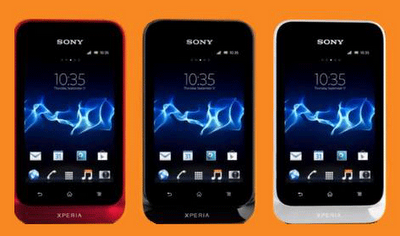 Sony Xperia ion replaces Sony Xperia S as the leading smartphone in the country. Sony Xperia ion is a premium HD Android 3G-Wi-Fi connectivity smart phone. Razor sharp clarity of the HD Reality Display with Mobile BRAVIA® Engine is the main attraction. Sony Xperia ion comes with a brilliant 4.6 inches scratch-resistant TFT Capacitive Touch Screen with 1280 x 720 pixels resolution and 16M colors. On-screen QWERTY keyboard also available. The device uses advanced color combination technology. Sony Xperia ion has powered by 1.5 GHz Qualcomm Dual Core processor with Google Android 4.0 (Ice Cream Sandwich) OS. The smart phone comes with 12.1 megapixel camera with auto focus and 16x digital zoom which can equally consider as a medium range professional digital camera. The device has also a front camera for video chatting. Sony’s Exmor™ R for mobile CMOS sensor enables the camera features. Video recording of the device is in full HD (1080p). Sony Xperia ion has 1 GB of RAM and 13.2 GB of Internal Memory (user-accessible memory is up to 12.9GB). The device has also an expansion slot which is suitable for micro SD card. Maximum expandable memory is 32 GB. Sony Xperia ion comes with a powerful standard 1900 mAh Li-Ion battery which provides 10 hours Talk time and 12 hours music listening time. Google Sync, SyncML, Facebook, aGPS, WebKit, Bluetooth, NFC, ANT etc. 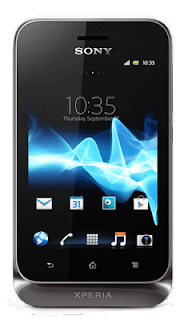 Sony Xperia miro, the new smart phone with attractive specifications from Sony. 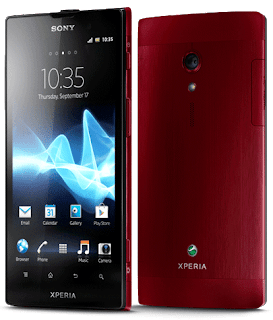 Sony Xperia miro has 5 megapixel camera with pulsed LED flash and Auto focus which is tremendously incomparable visual features of Sony technology. Sony Xperia miro has a brilliant 3.5 inch anti-reflection coating on mineral glass TFT Touch Screen which is 16 million colours depth. Sony Xperia miro has latest Google Android 4.0(ice Cream Sandwich) Operating System and a powerful 800 MHz Qualcomm MSM7225A Processor. Sony Xperia miro comes with a range of features as standard. Sony Xperia miro comes in shades of black, gold, pink and silver. Sony Xperia miro is expected to be available in third quarter of 2012. Sony Xperia go the newest smart phone from Xperia series powered by Sony. Sony Xperia go attract us for its slim and sleek design which is just 9.8 mm thickness. Some special features like Scratch- resistant Display, water and dust resistant body are terrific. Several customers complained that Sony’s poor performance in the field of battery had little disgrace. But in Sony Xperia go, the defect cleverly locked and advanced battery-save mode enabled. Sony Xperia go has latest version Android Touch Screen with extra durability and power. Crystal sharp 3.5” Reality Display with BRAVIA® Engine technology provide us a remarkable visual experience. anti- reflection coating on mineral glass. Wi-Fi, DLNA, ActiveSync, Google Sync, aGPS, Bluetooth, Noise Suppression etc. 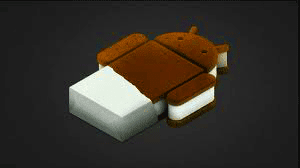 Sony Xperia acro S is the first Android 4.0 (Ice Cream Sandwich) smartphone from Sony. Sony Xperia acro S has a perfect and powerful 1.5GHz Qualcomm Dual core processor. The Display Screen built with incredible Mobile BRAVIA® Engine. 4.3”display Screen capability is Crystal clear. View in razor sharp clarity on the 4.3” Reality Display with Perfect and powerful Android 4.3 OS. Sony Xperia acro S has a 12MP rear camera with full HD video recording. It is powered by Sony Cooperation. Sony Xperia acro S has also HDMI TV connectivity. Sony Xperia acro S has specially designed scratch resistant glass display with wet finger tracking and water resistant body. You can easily connect the device to TV, laptop, tablet and smart phone. Sony Xperia acro S will be available in yellow, black and white colour variants. Sony Xperia sola, Sony Xperia P, Sony Xperia S, Sony Xperia U: Which is Best Mobile Phone? 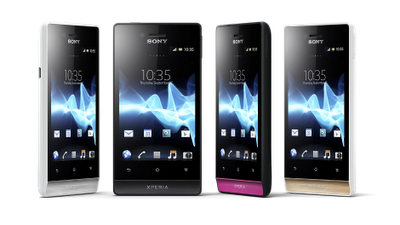 Sony Xperia NXT series, next generation smart phones from Sony introduced four models: Xperia sola, Xperia P, Xperia S and Xperia U. Not only the difference between just P, S and U. but technically also. Of cource these four models are good looking devices and available in the market for a nominal rate. Early we explain the features and technical specifications of Xperia S. the four models are concern Sony Xperia S is more expensive. 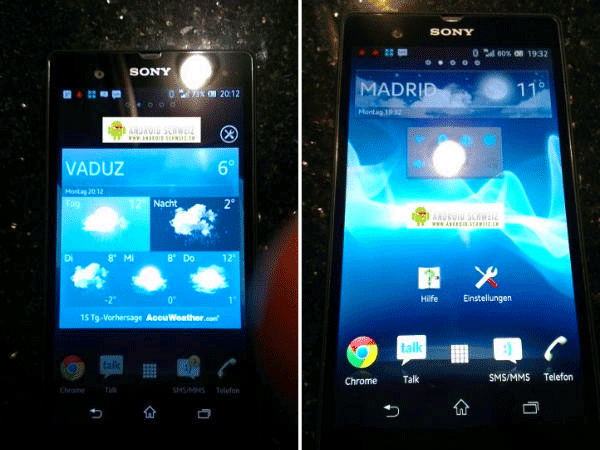 Xperia sola and Xperia U are more similar than other Xperias. Our readers demand a comparison about these models and they asked to find out which is more relevant. We think it is not practical because costumer’s tastes are different. You should select a mobile device for fulfill your own dreams. Final decision is yours. You want an expert opinion about the technical specialties; we always with you. Here we try to explain the main difference between these models. This is not only a technical assessment but also an experienced costumer’s useful tips and advices. Let us find out. 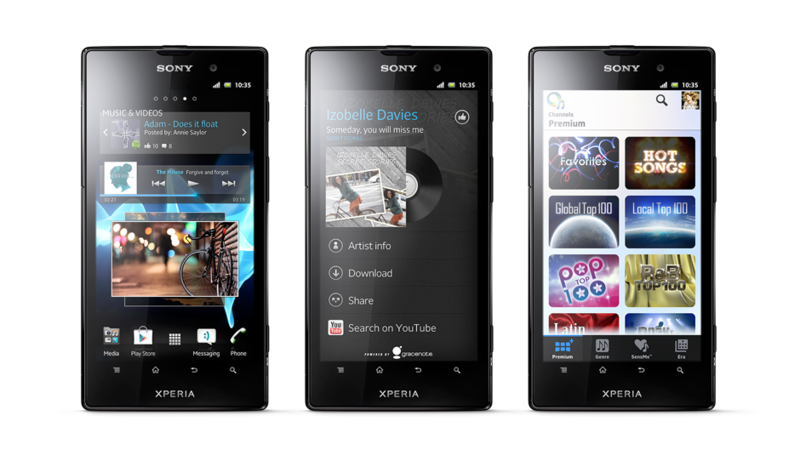 Xperia sola: 3.7 inch scratch-resistant TFT touchscreen. Xperia U: 3.5 inch scratch-resistant TFT touchscreen. Xperia S: 4.3 inch scratch-resistant TFT touchscreen.